No matter what you’re selling, price is super important. Small changes in pricing can produce dramatic results. You may be losing sales by under-charging for your products or services. Or, you could be losing customers and sales by charging too much. Pricing is the factor that has the biggest impact on sales and profits. A dialed-in pricing strategy will not only help you sell your products or services in the short-term, but will also increase your profits over the long-term. It’s incredibly important to understand the basics of pricing and what value you offer to your target audience. Let’s take a look at the factors and techniques that will help you determine your rates. (Psst! 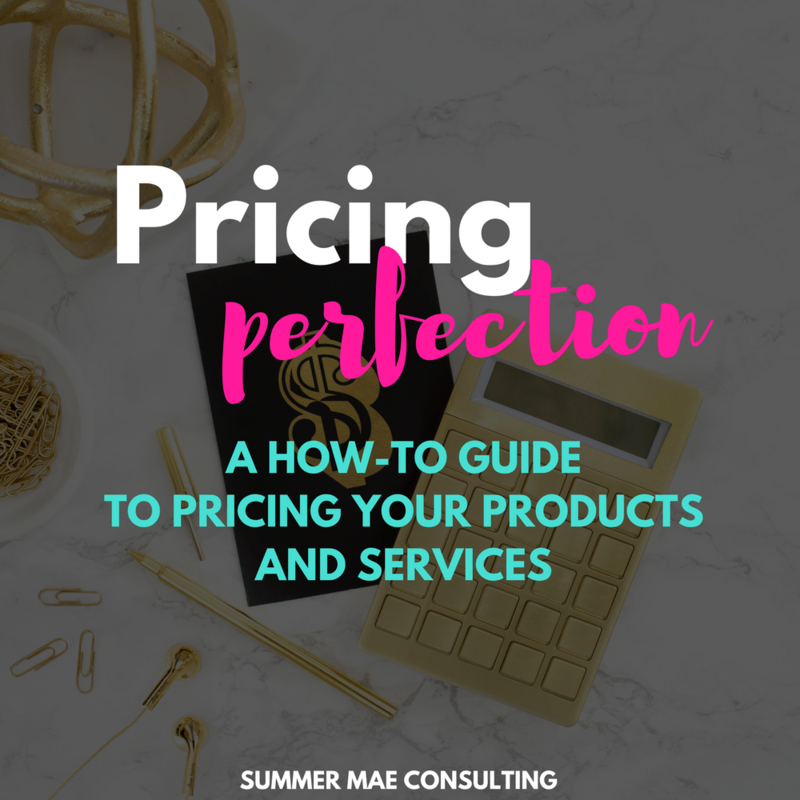 This post is a an excerpt from my Pricing Perfection Guide. Want to learn more about creating the perfect pricing strategy? A major pricing factor to consider is cost. Cost is the amount you spend to produce your product or carry out your service. Cost-plus pricing is where you start by determining your costs and then add the additional amount for desired profit. Materials: The plastic, wood, metal, ingredients, etc that form the product. Labor: The time, work, energy and skill required to convert the raw materials into the finished product. Instruments of labor: Things that are needed by the product creator to create the product. These could be actual physical tools or premium software programs that require some investment. Overhead Costs: This includes things not directly related to each product but to the operation of your business such as rent, insurance, employee benefits, and extra money to cover slow sales periods. There are two kinds of costs to consider, fixed and variable costs. Fixed costs are those that stay the same no matter how much or how little you sell. Examples would be the rent you pay for your office or the salary you pay your employees. Variable costs are those that change. Most variable costs rise as your sales increase; examples include raw materials (you need more of the raw materials to meet rising demand), extra labor (you have to hire additional workers) and shipping. Take into account that variable costs will change and make allowances for that. One way to decide how to price products or services is to set income targets. With this method, you start at the end and work backward. Start by deciding how much you want your business to earn in a certain period of time. You can then use the number of service hours you expect to provide or how many units you expect to sell and price each individual product or service accordingly. For example: Emma needs to make $500 per week to cover her costs and she wants to make $350 in profit. So Emma needs to make $850 in gross income every week. She expects to work 30 service hours each week, so she needs to charge at least $28.33 per hour to reach her goal of $850 gross weekly income. You can use this hourly rate to price packages and projects based on the estimated time it takes to complete. Important: Remember to use your amount of service hours you can work each week when calculating your hourly rate. Time spent updating your website or internal admin tasks are not billable time. 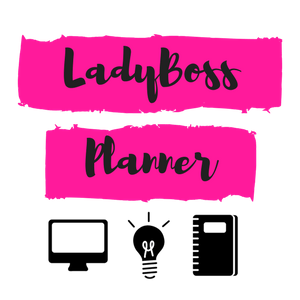 You may be working 40 hours per week between client work and internal tasks, but (using the example above) only 30 of those are bringing in income for your business. Deciding based on profit margin is similar but uses the product rather than the overall business. This is easier for many businesses. Decide how much profit you’d like to make on each product and price accordingly. Make sure that you make some allowance for the other cost factors on your end such as labor cost, overhead costs, etc. This model has the potential to bring you great profits but it’s the hardest to gauge because there are so many subjective factors involved. It starts with the value customers place on a product based on the power of its positioning. In other words, you charge what your customers are willing to pay. All pricing is, to some extent, value-based pricing since the price has to match the customer’s perceived value. But what makes value-based (also called customer-based) pricing different, is the flexibility. In this approach, you gather information about your customers. This data could come from observation of their behavior (such as buying behavior or sharing their opinions online), or asking customers directly either in-person or online through surveys. The goal is to find out what they are willing to pay. Value-based pricing also involves some psychological tricks marketers use to influence the customer’s perception of a product’s value. An example of this is penetration pricing, where a company offers a new product at a low price in order to drive sales. This model starts with an analysis of your competitors and market conditions and sets prices accordingly. It’s effective because it takes into account market conditions (the “going rate”), which are also related to value. If customers are currently buying a competitor’s similar product for X amount of money, this tells you that this price is what they’re willing to pay. There are a number of ways to base your pricing on your competitors. One method is to undercut your competitors. This means offering a similar product as they’re offering but at a slightly lower price. This is effective for driving sales in the short-term, but low price isn’t a value in and of itself. What can happen is a race to the bottom, where competitors keep undercutting each other until it’s no longer sustainable. No bueno, my friend. Another competitor-based pricing strategy is to offer your product at a slightly higher price than your competitors, but really drive home the value your product offers. Brands that sell luxury or high-ticket items often do this. They brand their products effectively and customers don’t mind paying extra for the added value, which could be higher quality, better customer service, speedier service, more trustworthiness, etc. An hourly rate is advantageous for the service provider because you’re guaranteed that your labor costs will be covered by the buyer. While some buyers prefer hourly rates, some see it as disadvantageous because it’s hard to budget for. The buyer may not know how long a project will take to complete, or it might be hard for you to guarantee that it will only take X number of hours. For example, you might settle on $40 an hour for web design work. But how long will the website take to complete? If you’re a design pro, you can accurately estimate, but it could cause the buyer unexpected problems if it takes longer than expected. Project rates are easier for buyers. There is one simple price for the completion of the project that includes everything, no surprises. But the service provider needs to calculate how long the job will take and give the buyer an accurate quote in order to ensure that they will make their target for labor costs. 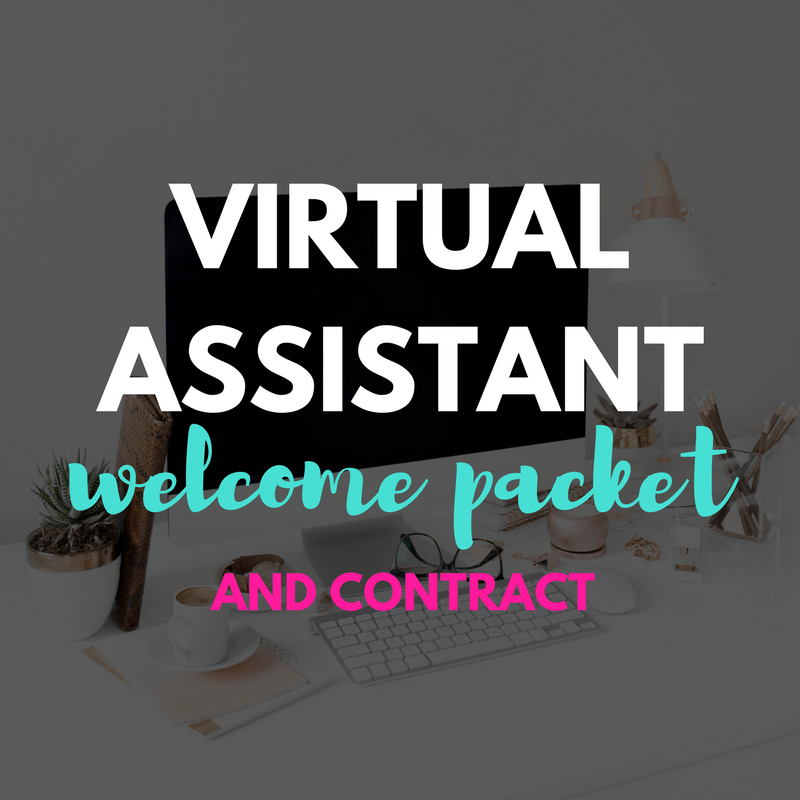 In this case, you might determine that a web design job will take three hours, and then quote the buyer at $120 (based on your $40 hourly rate). They pay and are satisfied, but if it takes you longer than three hours to complete, this is a loss for you. Your pricing strategy will undoubtedly be a combination of the strategies mentioned earlier in this post. Which strategy you rely on will depend on the type of product you’re offering and your target market. Offering specially reduced prices can drive sales very effectively. You can offer a clearance discount to move products, encourage multiple purchases of similar items with discounts, or offer discounts for bulk orders. But you should be careful with discounting because if you offer too many, your customers may come to see your full-rate pricing as expensive. Constant discounting can also backfire by decreasing your products’ value in the eyes of your customers. The freemium model is especially common for digital products like software, content, apps, games, web services or memberships. It offers a free version of the digital product and also a premium version that has more features. You can also offer a free digital product that then advertises other premium products. Customers can get a taste of the value the product offers firsthand with the free version, leading them to purchase the premium version. Bundling involves selling a package of goods or services together at a lower price than they’d be if bought individually. High-low pricing is where a company positions its products as higher quality or higher value than those of competitors, and charges a higher price accordingly. To bring in new customers and introduce them to this superior value, they offer occasional promotions, advertisements or coupons that sell the product for a lower price for a limited time. Customers buy the lower-priced product, realize its superiority over similar products by competitors and become loyal buyers of the company’s higher priced offering. This is a classic pricing strategy where companies choose an odd price such as $19.99 rather than $20 because it looks like a lower price. While it seems obvious that one cent is an insignificant difference, companies have used odd value pricing for a very long time because it works. You should be careful about pricing your products too high or too low. Although price has a major impact on every business’s sales, don’t overestimate price as a motivation for your customers in making buying decisions. Customers usually buy because of value, not price. If customers based buying decisions on price only, underpricing would work all of the time. But when products are priced very low, this can hurt the perception of their value in the eyes of customers. Why would a company offer its product or service so cheaply? Cheapest doesn’t communicate value. Overpricing can also be disastrous. Pricing products too high can drive customers to your competitors. You can price yourself out of your market. If you want to charge more for a product or service, you really have to communicate its unique value well to your customers.